When you hire Greendog Recycling, you can hire with confidence. Our facility is an EPA-certified business and adheres to all environmental guidelines. Safety is our number one priority and we pride ourselves on our customer service: Our clients’ concerns are our concerns. Being a minority-owned and Equal Opportunity Employer means we empower Philadelphia’s communities to have a greater impact on the planet. 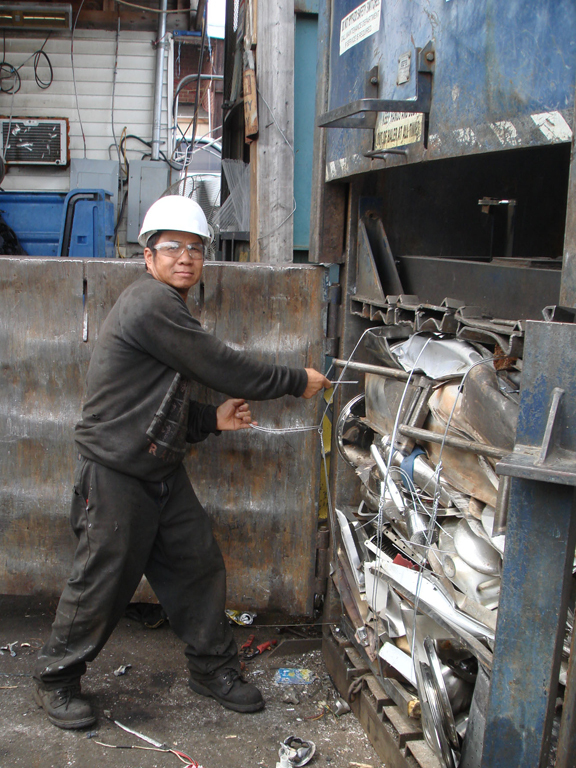 Greendog Recycling’s knowledgeable employees are happy to educate customers on the value of various scrap metals. 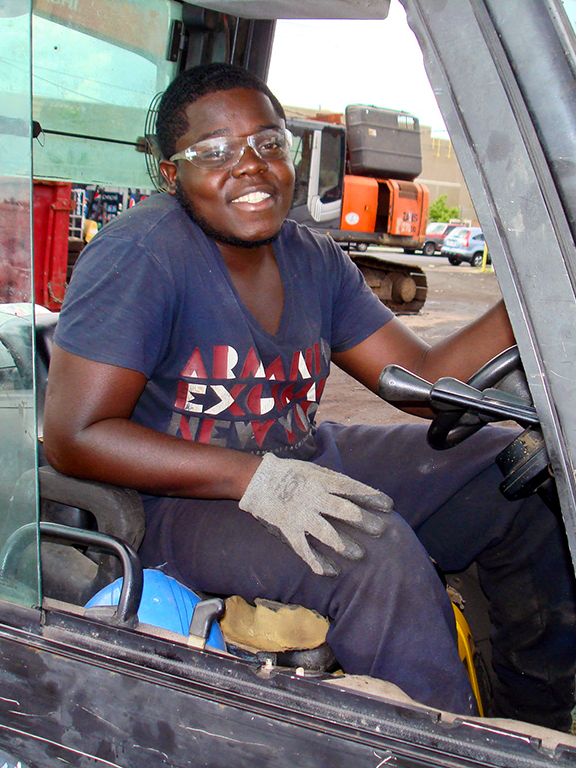 Click the arrow on the photo above to see additional photos of employees on the job at our facility in Philadelphia. Customer focus. Expect friendly, prompt attention from our staff each time you visit. Our commitment to customers, whether large or small, fosters loyalty and repeat trips back to the yard. Fair payment policy. Unlike some of our competitors, we pay for all types of scrap metal! Scrap is accurately weighed and payment is made immediately. Our knowledgeable staff members are willing to educate anyone on the value of various metals. Clean, safe facility. 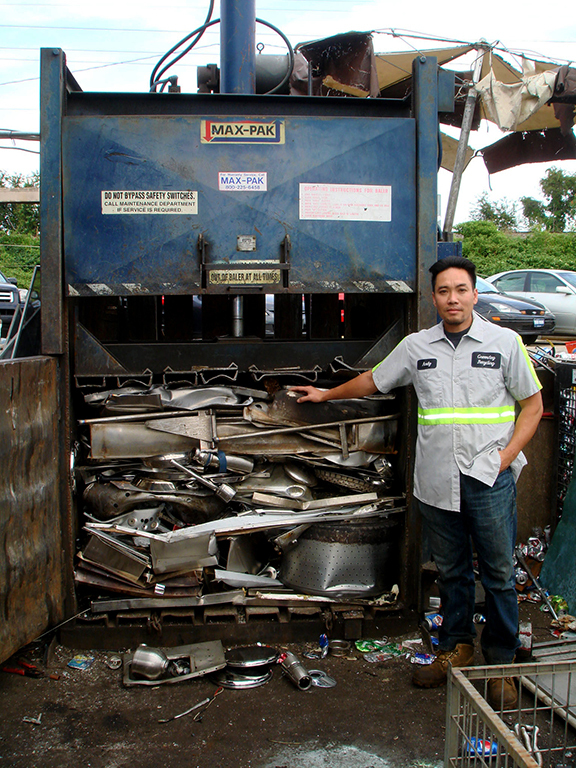 Our recycling facility located on a 1.5 acre site in Northeast Philadelphia is clean, safe, fully staffed and well organized. Convenient hours. We are open every day, from 7am to 7pm Monday through Friday and from 7am to 5pm on Sunday. Collection service. 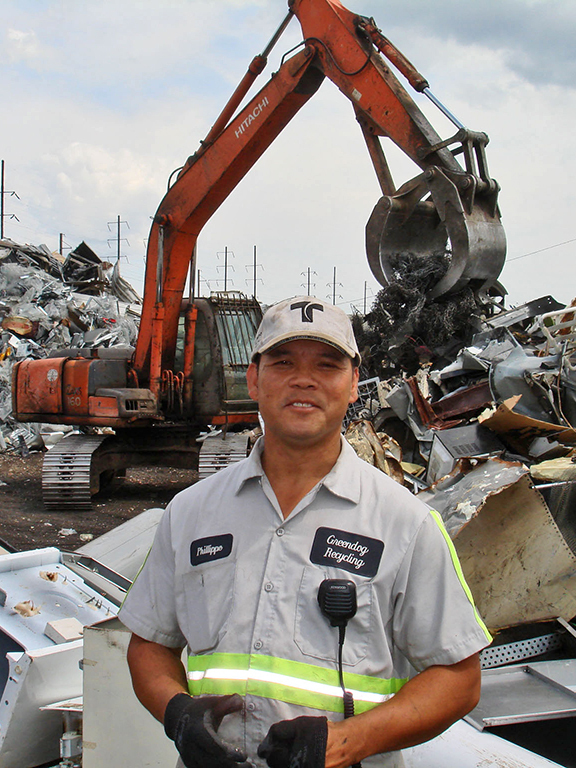 For large scrap metal suppliers and contractors, we also offer collection service in the Philadelphia area. Free bottled water. This friendly gesture was born from the management team’s own experience with scrapping metal, and expresses the focus on customer service that is central to The Greendog Way. Ferrous metals and alloys contain iron. If you see rust, it is very likely a ferrous metal. Most ferrous metals also have magnetic properties. Ferrous metals include: mild steel, carbon steel, stainless steel, cast iron and wrought iron. Non-ferrous metals are much lighter, more malleable and are non-magnetic. Non-ferrous scrap is more rare, which makes the demand greater, driving up the price per pound higher than ferrous metals. Non-ferrous metals include: aluminum, brass, copper, nickel, tin, lead, and zinc, as well as precious metals like gold and silver.